When was the last time you paid to see a movie you knew had a sad ending? If you’re like me, you have trouble remembering it. There’s a reason for that. It’s because we don’t like sad endings. We want the hero to live, the bad guy to suffer traumatic justice and the girl to be saved in the end. And if we know in advance that something approximating that formula ain’t happenin’, then my cash stays in my wallet and maybe I’ll catch it on Netflicks. (But probably not). A movie with a sad ending is like a chocolate chip cookie made with rabbit poop; you might take a bite unwittingly, but you’re going to slap the guy who gave it to you. We want our entertainment like we want our cookies; sweet and satisfying. And let’s face it, we are a culture that loves to be entertained. Sports, movies, music, video games, you name it, we’re hard at it, making sure we enjoy ourselves to the fullest. We’re all pretty much addicted to feeling good. It comes with being raised in a me-first consumer culture. And unfortunately, that’s how most people like their theology. We want it to be positive and entertaining. We want to go to church, enjoy a good donut or cup of coffee (it’s a multi-sensory experience, after all) and sing along with up-tempo songs before we listen to a feel-good sermon, right? We want to hear about answers, not problems. Blessings, not responsibilities. Heaven, not hell. Bad news. And that’s the problem. The gospel of Jesus Christ is good news precisely because it offers us a way out of hell. 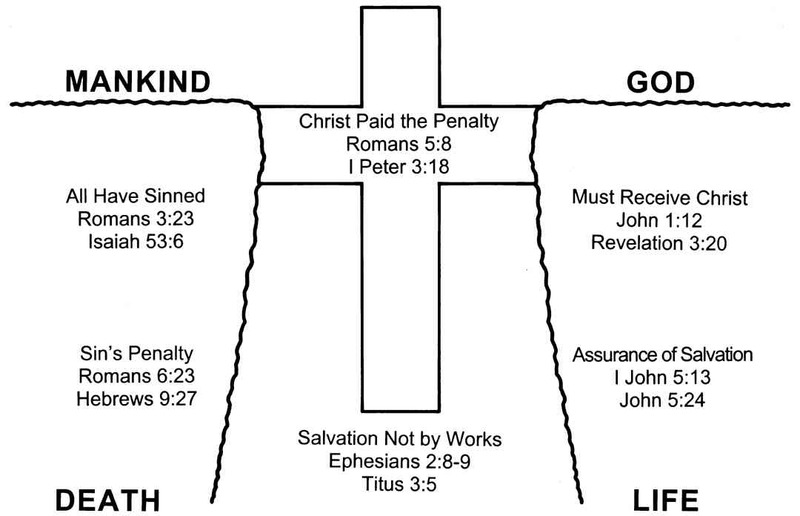 You see, the Bible is pretty clear that we’re all doomed unless we can find a way to make up for the debt of justice we owe God for the sin we commit against Him. And it’s also clear that the only way to do that is to turn your life over to Jesus, to recognize His authority over your life—when He’s Lord, He’s your savior. Before that, you, yes you, are going to hell. That’s a problem for a lot of people. It’s not very entertaining. And it’s certainly not a feel good message. To someone addicted to entertaining themselves, it can be quite a shock. But sometimes we need to be shocked. Apart from Jesus, hell awaits us all. There’s a lot more to the Christian faith than that, but the message that matters most is often the one we least want to hear. It’s not sweet and satisfying like a chocolate chip cookie. We’ve been trained by our culture not to hear it. But we need it. You need it. Jesus said, “I am the way, and the truth, and the life. No one comes to the Father except through me.” Want to get to the Father? Want to avoid hell? The answer isn’t very entertaining, but it is positive. It will make you feel good; surrender to Jesus. This entry was posted in Devotional and tagged entertainment culture, Gehenna, God, good news, gospel, Hell, Jesus, justice, mosobsu, mssu, mssubsu, Salvation. Bookmark the permalink.